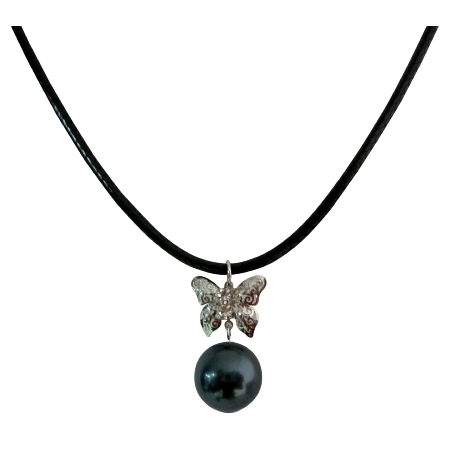 Our beautiful pendant necklace makes a classic statement featuring 12mm Tahitian Grey genuine Swarovski pearl gleaming in sophisticated contrast to its diamante sparkling butterfly accent topper! Includes black velvet necklace. Gift your girl friend valentine gift or mothers gift on her special day & for wedding jewelry we can customize in your colors.